Elise Cope and colleagues replicated previous research by demonstrating diet-induced obesity in mice impairs performance on cognitive tasks dependent on the hippocampus and results in loss of dendritic spines -- the neuronal protrusions that receive signals from other cells -- and activates microglia. 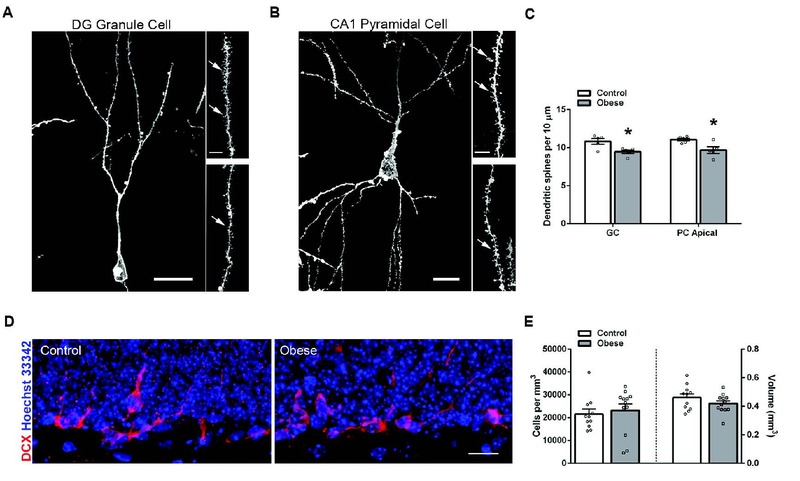 Using genetic and pharmacological approaches to block microglial activity, the researchers established microglia are causally linked to obesity-induced dendritic spine loss and cognitive decline. The results suggest obesity may drive microglia into a synapse-eating frenzy that contributes to the cognitive deficits observed in this condition.